Erminio Sella and Edgardo Mosca founded Sella & Mosca in 1890. They came from Piemonte, transforming a poor sheep-farming area into an extraordinary vinous landscape. These rich men were also amateur Egyptologists. 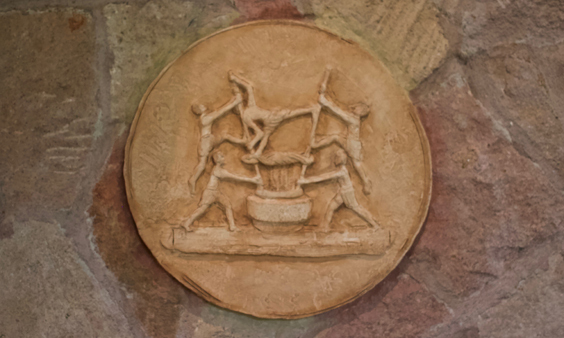 It’s commemorated in the winery logo, showing ancient Egyptians pressing grapes, from the tomb of Mereruka in Saqqara. Erminio was an engineer, while Edgardo was a lawyer. They visited the Alghero area of Sardinia on its northwest coast, exploring the remains of the Nuragic bronze-age civilisation. Just inland from Alghero, this land is pancake-flat, with the hills rising only in the far distance. At this time, the phylloxera epidemic was devastating vineyards across Europe. The solution was to replant vineyards with European vines grafted onto American rootstocks that are resistant to the insect’s predations. Here was a business opportunity. 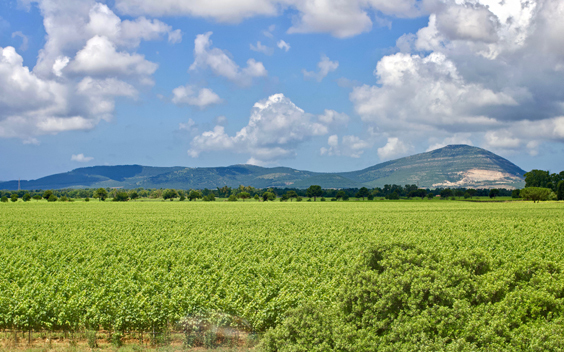 This part of Sardegna had virgin land and a climate ideal for vines. A nursery could supply newly grafted vines to replenish European vineyards. After draining the land, they created one of the most extensive vineyard estates in Europe. 650 hectares in total, with 520 of them planted in a single swath. Their nursery catalogue offered 1,671 vine varieties and 300 different rootstocks. Millions of young vines were supplied to winegrowers worldwide until this business ceased in 1960. However, wine production continued. 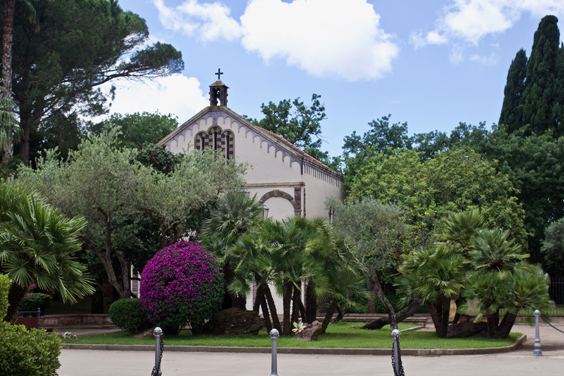 In fact, the local Alghero DOC granted in 1995 is primarily due to Sella & Mosca and the neighbouring Cantina Santa Maria di Palma. Campari bought Sella & Mosca in 2002. In turn, they sold it to Terra Moretti in 2016. Hence Sella & Mosca is now part of a portfolio of excellent Italian wine producers. Their stablemates are Bellavista and Contadi Castaldi in Franciacorta, and Terruzi & Puthod, La Badiola and Petra in Tuscany. That’s some stable! This estate is extraordinary. Sella & Mosca built a complete model village around the winery. It had a spring, houses for the workers and their families, plus an elementary school and a church. The original winery dates from 1903, built in the centre of the vineyard and using the spring for water supply. Hence it’s never more than ten minutes away at harvest time. Though all the buildings are used by the winery these days, it’s a reminder of similar villages created by philanthropists in Victorian England. Think of Saltaire (Salt), Port Sunlight (Lever), New Earswick (Rowntree), and Bournville (Cadbury). These buildings are all of a piece, made from local sandstone and surrounded by landscaped gardens. 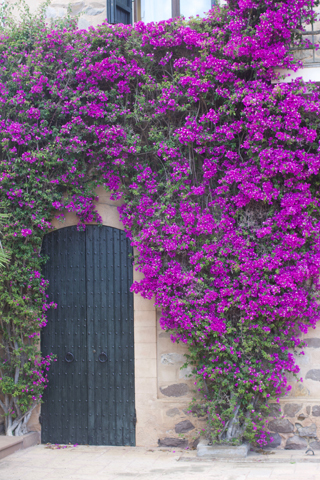 There are maritime pines, palms, eucalyptus and a profusion of showy and fragrant Oleanders. There’s a prehistoric Nuragic site too (called Anghelu Ruju). The many archaeological discoveries from there are on show in a small museum. And then there’s the wind. Sella & Mosca is only five kilometres from the coast, so the briny wind is a constant companion. It ranges from a whispering breeze leavening the torrid summer heat to a violent Mistral. Kilometres of cypresses and eucalyptus trees form essential windbreaks. Sardegna is called Isola del Vento for good reason. Today, the grape varieties planted here are mostly indigenous, though they bear little resemblance to those found elsewhere in Italy. Yes, you’ll find international varieties such as Cabernet Sauvignon and Sauvignon Blanc. However, Terra Moretti is concentrating attention on Sardegna’s heritage and identity. Those Sardinian stalwarts, white Vermentino and red Cannonau (Grenache), are well represented. Look closer and you’ll spot Sangiovese, Cabernet Franc and Carignan. Other, rarer, Sardinian varieties are a real joy too, and the highlight at Sella & Mosca is the white Torbato. This grape is virtually unique to the property, the name meaning cloudy, referring to its juice. Torbato has a genetic relationship with the Arinto grape of Portugal, though its taste doesn’t suggest it. Sella & Mosca make delicious still and sparkling wines with it and are busy planting more. Indeed, the Terra Moretti influence is already evident. I visited on the day of their final inspection for organic certification. Furthermore, their sparkling wines will soon include Metodo Classico as well as established Charmat examples. And as if this wasn’t enough, there are also small vineyard holdings elsewhere; at Sulchis in the south and Gallura in the far north of Sardegna. That gives them an extensive coverage of the island’s wines. 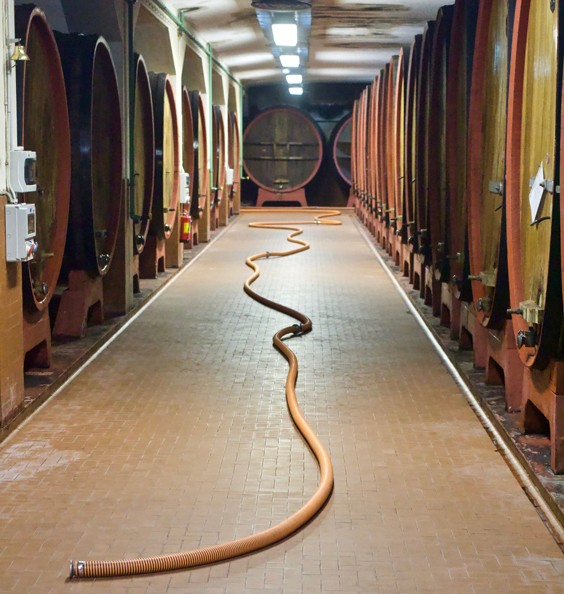 You can’t escape the breathtaking scale at Sella & Mosca: their vineyard palette makes seven million bottles each year, with wines in every colour and style. Colossal earth moving machinery is helping in replanting vineyards. They break up the sandstone bedrock below the iron-rich sand and clay soils. Meanwhile, 40% of the harvest is by machine. Even so, there’s 100 full-time staff employed here throughout the year, rising to 250 at harvest time. The modern winery sits adjacent to the old winery buildings which are still in use. There are hundreds of gleaming stainless steel and cement tanks, barriques, and old wooden casks. There’s plenty of tradition here, but also experimentation and innovation using computer control. Despite their size, the wines of Sella & Mosca range from excellent to outstanding, which is no mean achievement. Quality and volume are rarely easy partners, and the logistical challenges must be daunting. Below is a selection of top Sella & Mosca wines. This selection also highlights the local Alghero DOC and how well the wines pair with traditional Sardinian cuisine. All the wines come highly recommended and are available in the UK. The most accessible place to find Sella & Mosca wines is online at Alivini. They have a more extensive selection than mentioned here, including excellent examples of Cannonau and Vermentino. Retail prices shown below are for the UK, including VAT. Charmat fermented sparkling wine made from Torbato vines selected from estate clones chosen for their ability to produce grapes with high acidity. Brut dry style, 9 g/l residual sugar to balance. Softly textured, good mousse. Leesy undertow suggests extended time on the yeast. Lemons and pears and a sherbet edge, long finish. Terrific match with a fried aubergine aperitivo. £16.66. Their most elegant expression of Torbato, the top selection from a plot with chalky soils. This gem is 85% fermented and matured in stainless steel and 15% aged in new French barrique. 60,000 bottles made. An exceptional wine, this 2017 vintage experienced drought and a heatwave, producing a small crop of excellent grapes. Stunning acidity and aromatics of scrubland and dried herbs. Full-bodied, beautifully balanced and a triumph. A lovely mineral streak, Mirabelle and pear fruit and just a whiff of vanilla and almonds to add further dimensions. £20.05 and worth every last penny.Also, a bottle of 2016 was less aromatic but a shade more elegant, while 2007 demonstrates that this is a grape variety capable of longevity and development. Perfect with fish, especially the delicate nature of John Dory. The Estate flagship red wine, 100% Cabernet Sauvignon with a distinctively Mediterranean feel. Elegance and grace. A perfume of blackcurrants and menthol, and a palate of dark black fruits and Dundee-cake spices. There’s also scrubland and grass buried in here too. Ready to drink now but the tannins and dense fruit concentration suggest this will evolve over decades. Superb wine, one of Italy’s top Cabernets, no wonder its been awarded Gambero Rosso’s Tre Bicchieri fifteen times. 40,000 bottles made. £45.96. Hang the expense; it’s joyous! In the absence of big meaty dishes, hard cheeses like Sardo are perfect. Port lovers will adore this wine. It uses Cannonau grapes sun-dried outdoors for 20 days and then made in a port style. In other words, fermentation halts at 12% alcohol and 90 g/l residual sugar. After six months, the wine is fortified with pure grape spirit to bring the alcohol up to 19%. Maturity is for a minimum of five years. However, this has had many more than that. In fact, 2005 is still the current release, served slightly chilled with an almond fruit tart. There’s a browning colour to the rim and a dense black core. There are balsamic scents and alcoholic heat. However, the palate is where the action is; dried figs, brown spices, liquorice, and hints of dark chocolate before a lingering savoury note. Not excessively sweet and the sugar/acidity balance keeps it lively. Meanwhile, this has decades ahead, the 1975 vintage proving the point. Wine for meditation on cold dark winter evenings, or for serving with cakes and chocolate. £50.22. The bottle has a reusable stopper so could last for weeks, though I doubt you’ll resist it for that long. Sella & Mosca is an icon of Sardegna, and there’s no better place to get an introduction to the richness and diversity of Sardinian wine. If you are fortunate to be in near the Catalan-influenced Alghero on holiday, then a visit to this fascinating estate comes highly recommended. If you can’t get there, then at least you can console yourself with their wines.